The World Urban Forum (WUF) was established by the United Nations in 2002 to examine the rapid urbanization and the impact on communities, cities, economies, policies and climate change. Today WUF brings together national leaders, slum dwellers, mayors, academics, community and business leaders, urban activists... — in short everybody who shares the vision for better and smarter future cities. 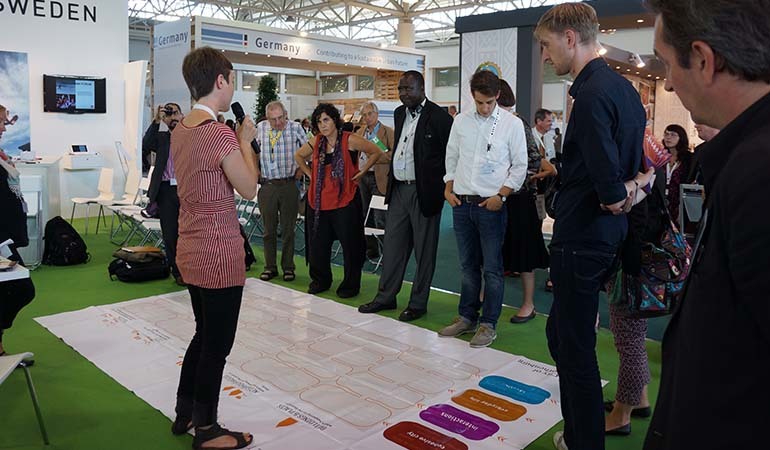 At the sixth World Urban Forum held in Naples, Italy on September 2-7th more than 8,000 registered delegates from 152 countries participated in the impressive numbers of seminars and discussions in the programme. Almost 25,000 visited the open exhibition area. 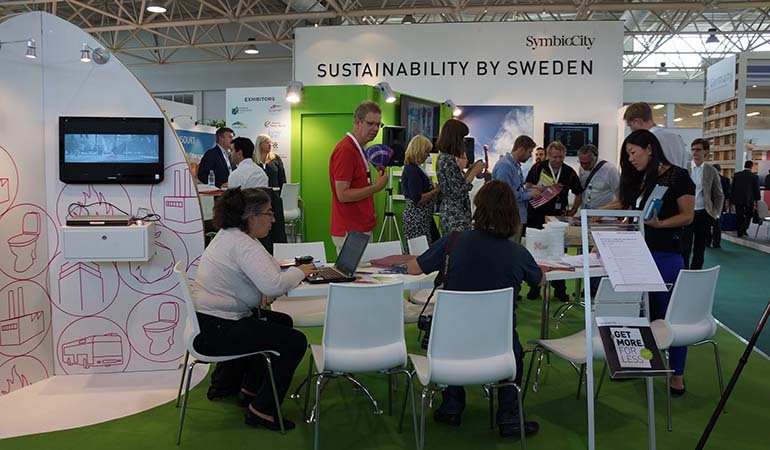 Green Public Spaces for Livable and Sustainable Cities, networking event hosted together with Swedish Research Council Formas and Urban Nexus. Designing Fair Cities: Securing urban equity, social inclusion, cultural diversity and urban commons, networking event hosted together with Swedish National Board of Housing, Building and Planning. Joining Forces to meet Urban Challenges, a presentation of Mistra Urban Futures focus on co-production of knowledge. Workshop Social Impact Analysis, a well-attended workshop hosted together with City of Gothenburg. All of the activities attracted a fair amount of delegates and initiated some interesting questions and ideas. Taking part in global discussions like the ones at WUF are very important for Mistra Urban Futures as issues regarding developing sustainable cities can only be tackled jointly and not in isolation. 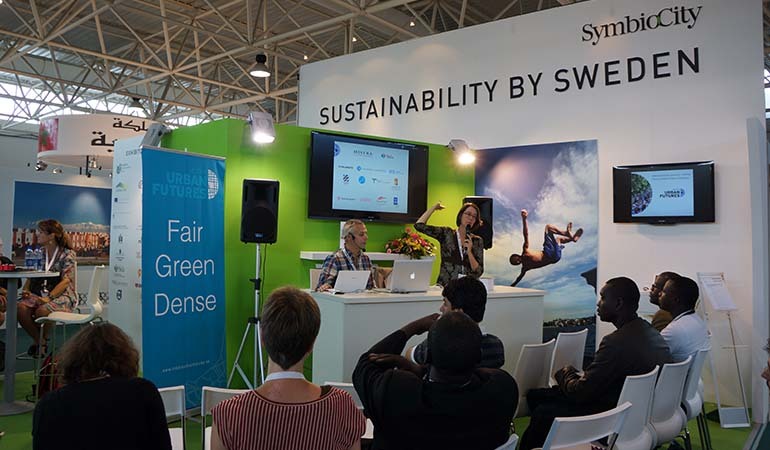 Mistra Urban Futures was one of several exhibitors in the Swedish pavilion. 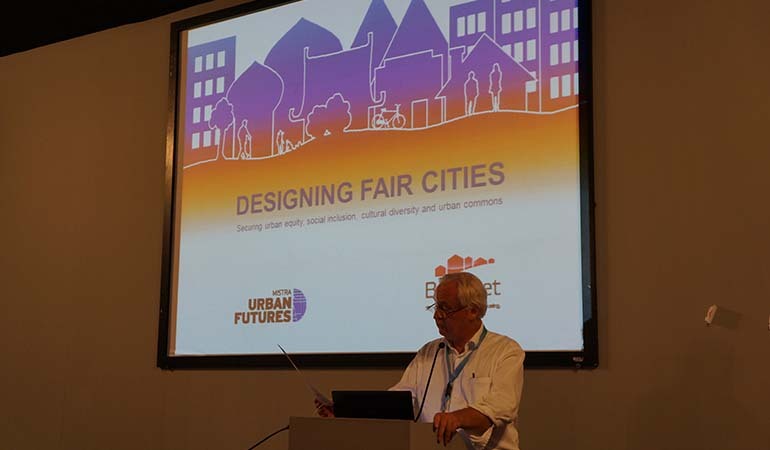 Lars Reuterswärd, Director, Mistra Urban Futures talked at the networking event Designing Fair Cities: Securing urban equity, social inclusion, cultural diversity and urban commons. Hosted together with the Swedish National Board of Housing, Building and Planning. 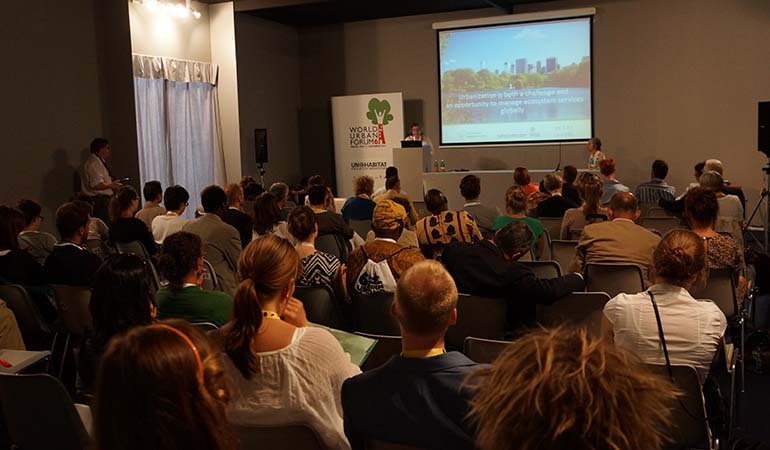 Speaker from the of Mistra Urban Futures platforms talked about their view of fair cities. 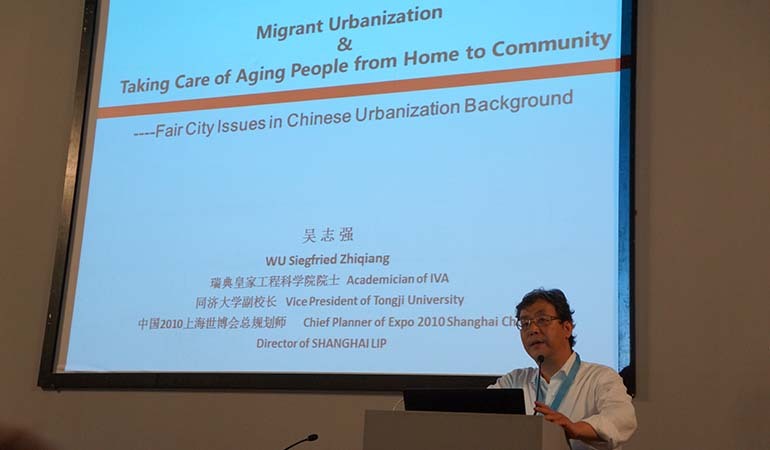 Professor WU Siegfried Zhinqiang, Tongji University, talked about fair cities from a chinese perspective. Jaan-Henrik Kain and Merritt Polk, Directors Urban Futures Arena - Mistra Urban Futures talked about Joining Forces to meet Urban Challenges. A presentation about joint knowledge production. Vanja Larberg and Lisa Wistrand, City of Gothenburg held a much appreciated workshop about Social Impact Analysis. Subscribe to Mistra Urban Futures' Newsletter!